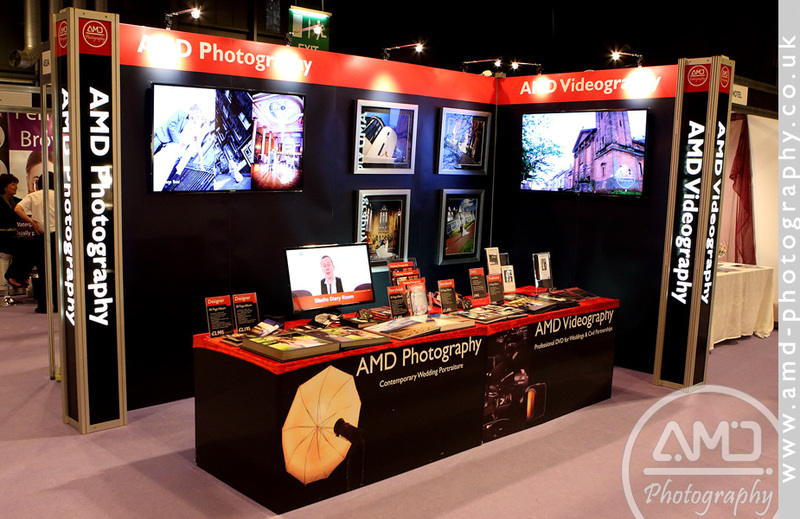 AMD Photography & AMD Videoography regularly takes part in various wedding and civil partnership exhibitions throughout Scotland. You are welcome to come and see our work, view our albums, check availability, ask any questions and book us. Our stand at wedding shows is uniquely recognizable by our black, red & white design and the large screens showcasing our work. Plus our team who are always smiling and there to help you with your wedding questions.